After the passing of a loved one, arranging their funeral can be overwhelming. Knowing what costs to expect will help you make better decisions and can relieve any unnecessary stress. The aim of this website is to assist those who have recently lost a loved one and are unable to find accurate information about funeral costs. If you take on the responsibility of payment, it’s important to understand what fees are both applicable and optional. Most people enlist the help of a funeral director to help with the administration and final arrangements. When emotions are running high, dealing with finances and the deceased’s estate is never easy. Most funerals are arranged by either the next of kin or a close friend. If there is nobody to undertake the procedures, the local health authority will arrange a simple funeral. The majority of funerals are arranged by a funeral director. They will take on the responsibility of arranging the logistics of the funeral on your behalf and ensure that everything is legally sound. 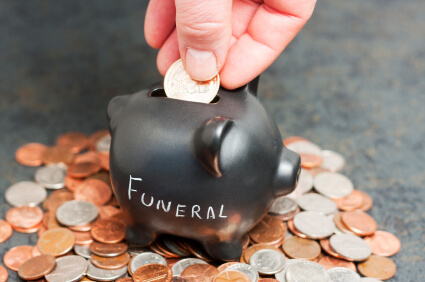 According to MoneySuperMarket.co.uk the average cost of hiring a funeral director is £1,515. · Selecting a suitable coffin. · Conveyance of deceased to our Private Chapel of Rest. · The use of a Chapel of Rest. When you have decided what funeral director to use, they will provide a breakdown of their services and costs with an overall price estimate. Always ask for this estimate in writing before you pay a deposit. Funeral directors should belong to a professional trade association, such as the National Association of Funeral Directors (NAFD), National Federation of Funeral Directors (NFFD) or the Society of Allied and Independent Funeral Directors (SAIF). Trade associations have standard codes of practice and procedures, and will ensure that you’re protected if something goes wrong. For example, if your funeral director acts unfairly or breaches the terms of the contract, they’ll have to abide by adjudication procedures if you take matters further; otherwise they will risk losing association membership and could find themselves subject to an investigation from the Office of Fair Trading. Part of the code of practice of these trade associations is to make all information relating to costs readily available. Most funeral directors will require a deposit either before they begin making the arrangements or shortly after the funeral takes place. If the person who has died had a specific arrangement with the funeral director to take the money from their estate or insurance policy, then the money won’t need to be paid until the deceased’s finances have been dealt with. If you want to arrange certain aspects of the funeral by yourself, you can hire a funeral director to take on a less central role. If you choose to arrange the funeral alone without any help whatsoever, either your local council or the Natural Death Centre can offer guidance regarding the legalities, logistics and payments. Before you begin any of the funeral arrangements, speak to the cemetery, churchyard or crematorium that you plan on using, as they may have specific guidelines that you must follow. Arranging a funeral without a funeral director isn’t recommended unless you already have the knowledge and contacts or have made prior arrangements. Many funeral directors will have special deals with suppliers, so while their fees can seem costly, they can save you money in other departments. Finding reputable suppliers can be difficult because your emotions can easily cloud your judgement. Before you start searching, you must set your budget and designate your funds accordingly. Always ask for fixed cost breakdown before you pay the deposit. This is a standard requirement of all funeral directors that belong to a trade association. If they aren’t able to provide this, move on and find somebody else. Make sure you also know the payment terms in advance. Most funeral directors will take a deposit to cover the expenses (coffin, paperwork, staff, etc.) and 50% of their fee. The remaining balance is usually invoiced sometime after the funeral. Before you decide on the cemetery or crematorium, visit the location to see if it’s suitable. There may be limited seating available for the service; or limited plots for the burial of the body or ashes. Most cemeteries and crematoria will have a number of memorial options, including private gardens, above ground ash plots and ribbon gardens. Each plot should have a standard fixed price and an average lease time of 75 to 100 years. One-off maintenance fees may also be applicable in order to manage the land. The average cost of a cemetery burial plot is between £750 and £950; while the average cost of a ash plot is £450. Headstone providers will usually charge a set fee for a particular stone, and then additional fees for the letters, images, and sculptures, etc. While delivery and installation is usually included in the price, it’s always best to confirm before you commit, as these fees can be very expensive. The average cost of a headstone is between £800 and £1,200. Payment for funeral flowers is almost always required in advance. If you use a funeral director they will often use specific florists at discounted rates. 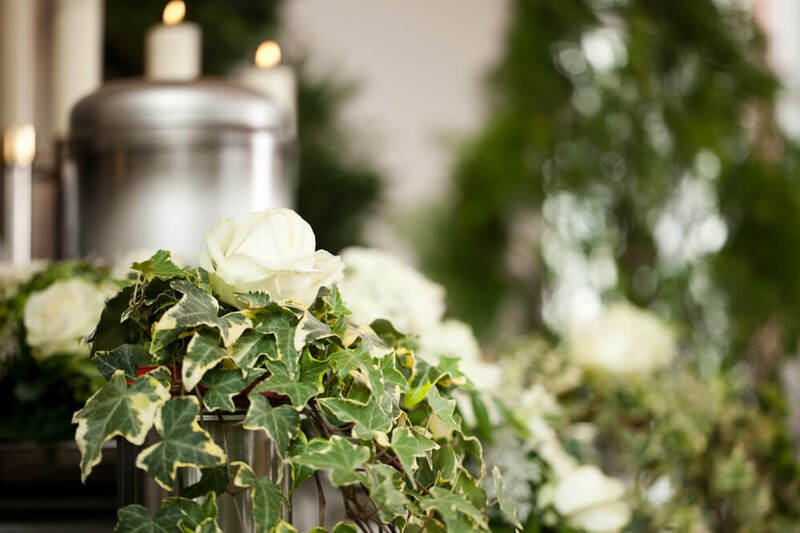 Even if you arrange the flower and wreath delivery yourself, it’s best to get them sent directly to the funeral director to ensure they arrive at the service with the coffin. Always ask whether the delivery costs are included. The average cost of funeral flowers is £120. Catering services usually charge per head. Options often include; finger buffets, cold fork buffets and hot fork buffets. If you want to reduce costs, a desert buffet or tea and coffee may be more appropriate. Inner city catering services are generally more expensive than companies based in rural areas. 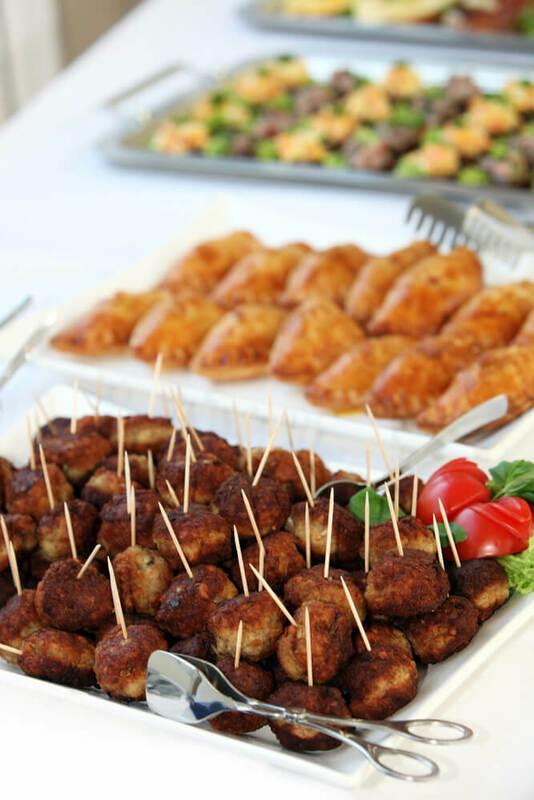 The average cost of hiring a catering service based on 30 people is £320; however, bulk discounts of between 10% and 20% are usually available for large groups. A headstone is an everlasting memorial that should represent the deceased’s life and personality. Knowing what costs to expect for each type will help you plan for the future and ensure you can find a stone that’s suitable. While a headstone isn’t an expense that’s required for the funeral itself, the arrangements can significantly affect your options. For example, the burial plot may have certain guidelines in regards to materials and finishes, so it’s always best to have an idea of what stone you wish to buy before the funeral takes place. Headstones can’t be erected until six months after the burial, which can give you time to acquire the funds; however, the burial fees and exclusive rights for a specific plot will usually be required prior to the funeral. 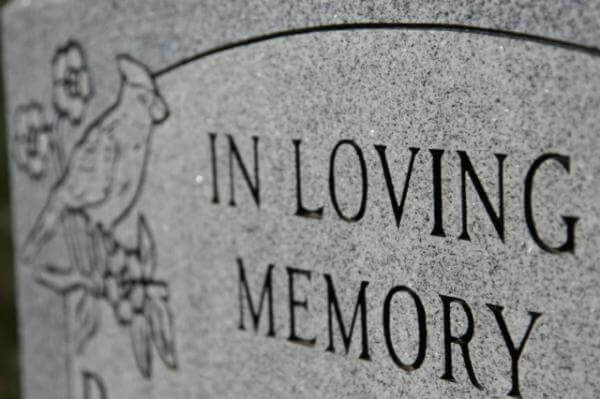 The cost of a headstone will significantly vary according to the size, material, design, lettering and finish. While a simple slant marker may cost as little as £400, an upright headstone could cost in excess of £1,200. Custom services will be charged at a higher rate. For example, most headstone suppliers will have a standard flat fee which will include a certain number of letters or ceramic images, and anything additional will cost extra. Some churchyards and cemeteries have specific specifications and could deny certain styles of headstone. For example, most churchyards in the UK don’t allow polished stone or bright colours because they can spoil the surrounding aesthetic. Cemeteries generally provide greater flexibility. In order to get a better idea of the headstone cost, contact the burial plot coordinator to see if there are any special guidelines. Delivery and installation is usually included with the cost of the headstone; however, if you order it from an area outside of the suppliers’ proposed radius, they may charge extra. If so, this will be calculated on an individual basis. Burial ground fees cover the cost of the land and staff attendance. They can significantly vary depending on the churchyard or cemetery. In some circumstances, additional fees may be required if the burial site is in a specific area of land, such as among shrubbery or next to a tree. Burial ground fees are often calculated by the size of the grave. Whether the deceased was a member of the local parish may also have an impact on the price. On average, burial ground fees are £200; however, in special circumstances they could be as high as £1,000. 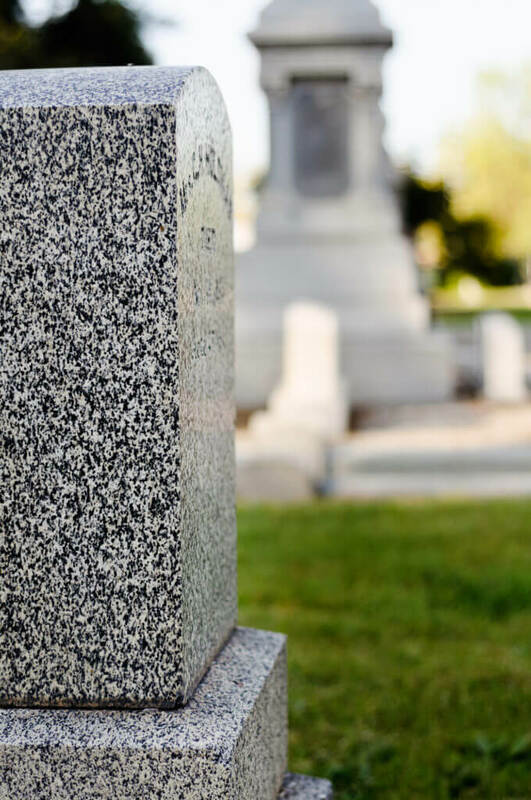 If you’ve lost somebody unexpectedly, you may find it difficult to pay outright for a headstone, especially if there are issues regarding the estate. Payment plans aren’t a standard procedure; however, if you’re using a local stonemason, they may provide a special arrangement, so it’s always worth asking before seeking other methods of financial aid. Most funerals will follow certain religious practices and will be between 20 and 60 minutes in duration. This, however, can significantly vary depending on what type of funeral you choose and which services you wish to include. There are various forms of Christian burial, each with their own traditions. While some funeral directors will be able to accommodate different services, others may specialize in a specific faith. The Church of England allows anybody to have a Christian burial service, regardless of whether or not they attended church. However, certain costs – such as burial and graveside service fees – may not be applied if the deceased was a regular attendee of the local parish and actively engaged with the community during their lifetime. This fees are subject to yearly change, and the most up to date reference is found in the side-bar of the Church of England website. Whenever possible, those who are part of the Catholic community are generally buried in a Catholic cemetery. In the event of a cremation the priest will decide whether or not the deceased is permitted to have a plot based on their religious practices or the motivation behind those who are arranging the funeral. In the Catholic faith, cremation ashes must not be scattered, they should be inurned in a columbarium niche or buried in a grave. The price of placing an urn in a columbarium niche will vary depending on the length of the lease. There average cost for a 75 year lease is between £500 and £1,200. Prices usually include the urn and a polished granite inscription. Very few Methodist churches have local burial grounds. For this reason, the majority of the UK’s Methodist funerals are through cremation. Many Methodist churchyards will have a special place set aside for the scattering or burial of ashes. The prices can significantly vary depending on the location and amount of available space. Baptists are congregational, so each church will have its own traditions surrounding funerals; therefore, the prices will vary according to the church and Baptist Minister. In some Baptist churches funerals are joyous events with uplifting prayers, singing, dancing and live music. Due to limited space for burial plots, Catholic, Methodist and Baptist burials will often take place in a cemetery. The average price for a burial site, regardless of faith is between £2750 and £6000. This is excluding the costs of the internment. In addition, some cemeteries may charge a one-time maintenance fee of between 5% and 15% of the overall cost. Humanist and atheist funerals focus purely on the person who has died and don’t have any specific ceremonial activities. Some local council’s will run their own non-religious funeral services and non-religious cemeteries. Humanist and atheist funerals can cost far less than a traditional religious ceremony as you won’t have to pay minister fees or abide by certain headstone design specifications. In addition, anybody can hold the service. · A non-religious reflection on death. · A eulogy focusing on the achievements of the deceased. · Activities associated with the deceased. Most funeral directors, crematoriums and cemeteries are accustomed to holding non-religious funerals. The average price of a non-religious funeral is around £3,000. However, if you plan a funeral for a non-religious person in a religious environment, you will be expected to pay the same prices as somebody of faith. Woodland burials are increasingly chosen by those who want an environmentally friendly burial in a beautiful setting and, typically, a memorial tree is planted for the deceased which becomes part of an established natural woodland. Anyone can be buried, or have their ashes buried or scattered, irrespective of their personal beliefs. Most sites are not consecrated ground but you can choose to have individual graves blessed and have complete freedom to arrange whatever style of funeral you prefer. Funeral directors often provide packages made up of both compulsory and optional services. If you want to remove any of the optional services, always ask for a revision before you pay the deposit. · Use of the Chapel of Rest. · Hygienic treatment of the body. · Staff to assist at the funeral. You may be able to reduce these costs if you opt-out of specific services. For example, you don’t have to make the body available for viewing in the Chapel of Rest, or you could process the administration yourself. Disbursement fees are costs which aren’t covered in the funeral director’s fees. They can significantly vary depending on your local council and whether you opt for a burial in a churchyard or cemetery. Cremations are generally cheaper than burials. Optional costs include anything that isn’t essential to the funeral. These include elements that are part of the service and the post-reception. Funeral directors may take care of some or all of these arrangements within their packages. Many of the optional costs can be significantly reduced if you choose to take on the responsibility of them yourself. For example, you could use homemade flowers, hold the reception at your home or ask family and friends to each bring an item of food for a buffet table. This price information was provided by MoneyAdviceService.org.uk. During times of emotional turmoil, it can be difficult to take control of the deceased’s finances and cover the costs; however, there are various payment plans and benefits available. A pre-paid funeral will ensure that all of the costs and arrangements have been made in advance. Paying now usually means that you can bypass inflation as the costs are capped at today’s prices. Pre-paying for a funeral for somebody else means that you don’t have to make difficult decisions during an upsetting time; or paying for your own funeral means that no outstanding bills will be left to your next of kin or close friends. 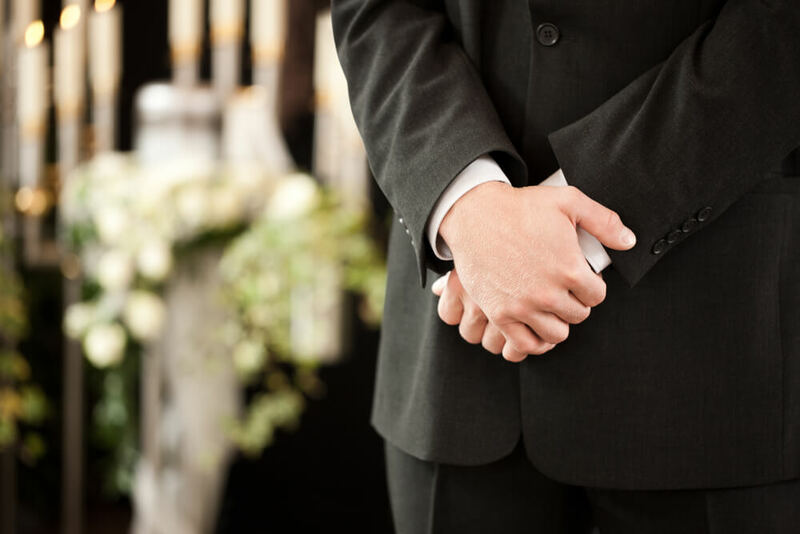 Funeral plans are taken out by the funeral director and are usually linked to specific firm or funeral style which is agreed upon in advance. Funeral insurance is similar to a pre-paid plan as payments are made in monthly instalments prior to the death; however, there are some variations. For example, instead of being tied to a particular funeral director, firm or style, a fixed lump sum is paid out that will cover the costs. While this can provide more freedom, it means that inflation can’t be capped as you will not have a prior agreement with specific providers. A funeral director may offer you a flexible payment scheme if you don’t have the money to cover the costs or are waiting for funds to be released by the deceased’s estate. However, in these circumstances all of the other costs that aren’t attributed to their fee will have to be covered. If you are on a low income, you could be eligible for benefits from the Social Fund to help you pay for the funeral. How much you are entitled to will depend on your individual circumstances. If the person who died had a pre-paid funeral plan, you’ll only get money for expenses that aren’t covered up to £120. · Exclusive rights to a particular burial plot. · Cremation fees and doctor’s certificate. 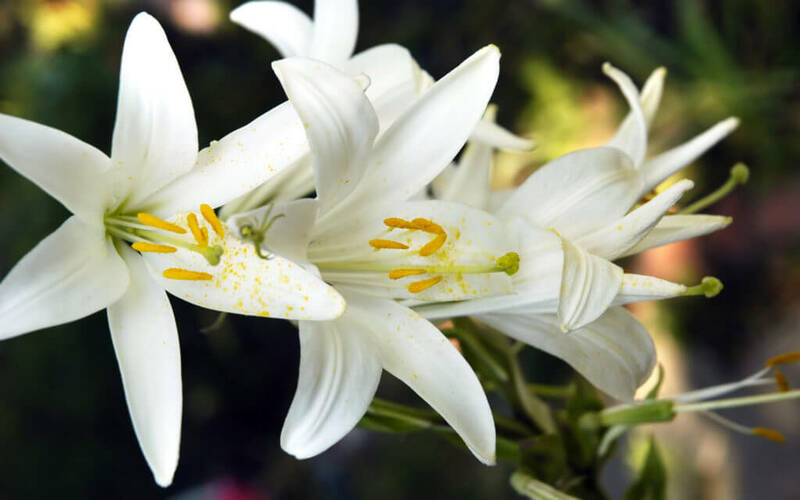 · Up to £700 in general funeral expenses, such as a coffin and flowers. · Body transportation costs for parts of a journey that exceed 50 miles. When payment is processed it will go directly to the funeral director if they haven’t already been paid, otherwise it will be deposited into your bank account. For a more detailed overview on what Funeral Payment can cover, visit: Funeral Payment claim form. When you use low income benefits, you’ll usually have to pay back any money that you inherit from the deceased person’s estate to cover the costs. This includes money or property, but not a house or personal things left to a widow, widower or civil partner. In order to successfully claim for low income benefits, you must’ve had one of the following relationships with the deceased. · Partner when they died. · Close relative or close friend. · Parent of a stillborn after 24 weeks of pregnancy. · Parent of deceased child under 16 (or under 20 if they are in full time education). · Working tax credit relating to a disability. If you are waiting for a decision on another benefit, you can still apply. Your eligibility can also be affected if another close relative of the deceased isn’t claiming benefits. To start a claim you must fill out the Funeral Payment (SF200) claim form. There are only two legal requirements related to funerals that must be followed in the UK. 1. The death must be registered before the funeral. 2. And that the body must be properly taken care of, either by burial or cremation. If you are arranging the funeral, you will have to sign a form which makes you responsible for all of the costs. If you aren’t available, the local council will take on the responsibility and make the arrangements; however, they will only provide a basic low-cost funeral. Funeral fees are recovered from the deceased’s estate before any other debts are paid, apart from secured debts. If you pay for the funeral, you will be entitled to recover the costs; however, if there’s not enough money in the estate, you’ll have to pay the bill yourself. If negligence was the cause of death, then you can claim back the money for the funeral as compensation. If the local council arranges the funeral, they are also entitled to recoup the costs. The person who has died may have left guidelines in their will or funeral insurance policy as to the type of services they would like to have. You are under no legal obligation to follow these guidelines.